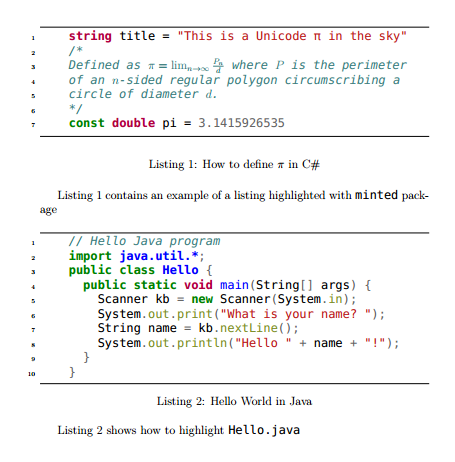 There are a few packages in LaTeX which can highlight source code listings. Until recently Papeeria users were restricted to listings package only and could not use more advanced minted and verbments which both use Python library pygments to do highlighting. The reason was that due to security reasons we didn't allow TeX engine to run arbitrary code. However, we've been working hard on isolation of user data and sandboxing compilation processes, and today we enabled shell escaping. Now everyone can enjoy syntax highlighting with minted and verbments. We also installed minted 2.0 which was released just a month ago. You can find the sources of the code from the picture above in the demo project. Have fun, and happy typesetting!